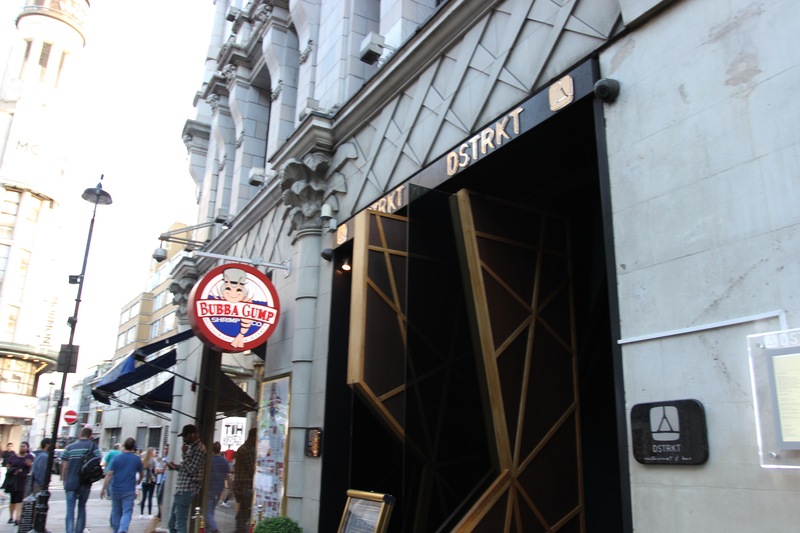 DSTRKT is relatively new opening up in the heart of London near Piccadilly Circus and Soho. 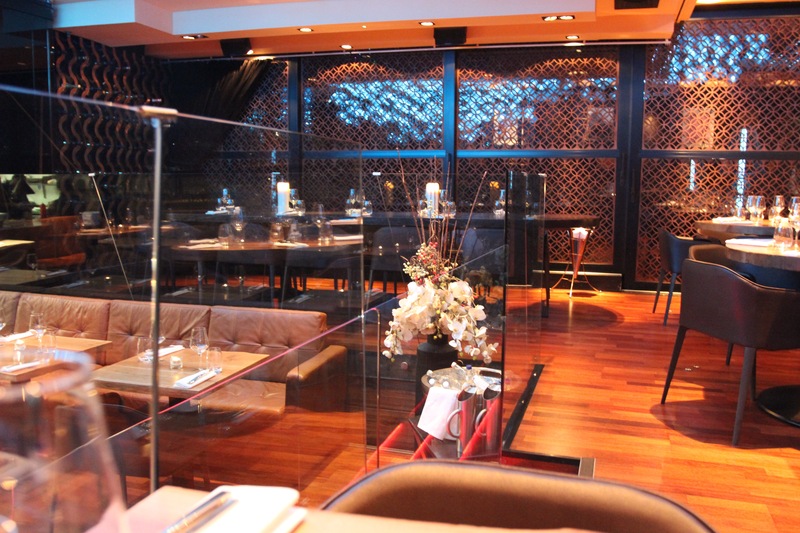 It’s a chic low light restaurant and lounge and is known for hosting glamorous parties with A-list celebs. Next door is Bubba Gump Shrimp the restaurant based on the movie Forrest Gump. 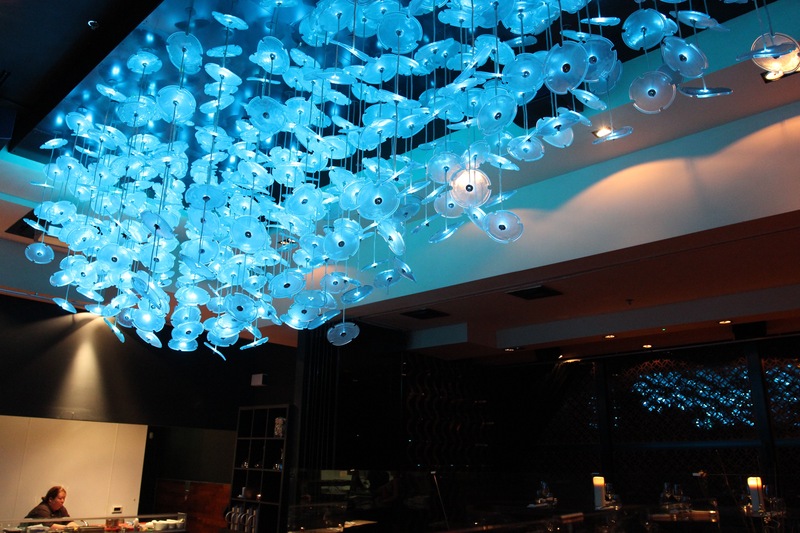 Descend down the stairs and admire the state of art stunning surroundings. 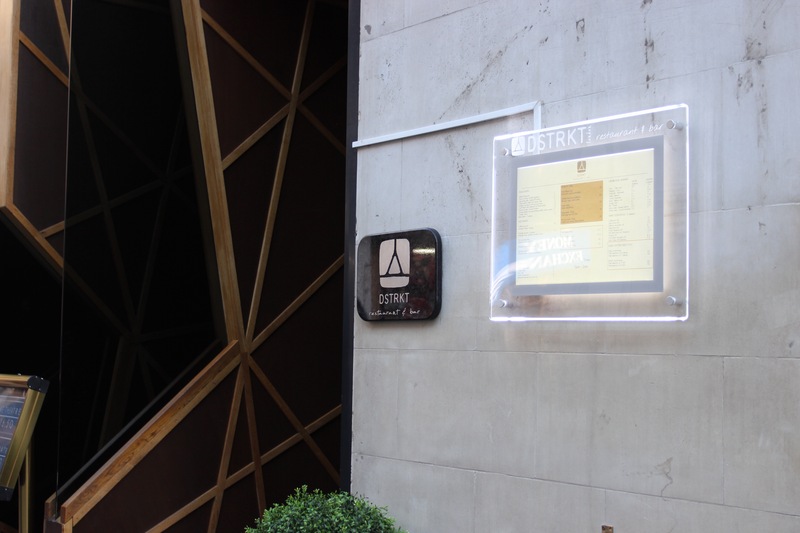 DSTRKT only operates Monday to Sunday from 5pm to 2am. 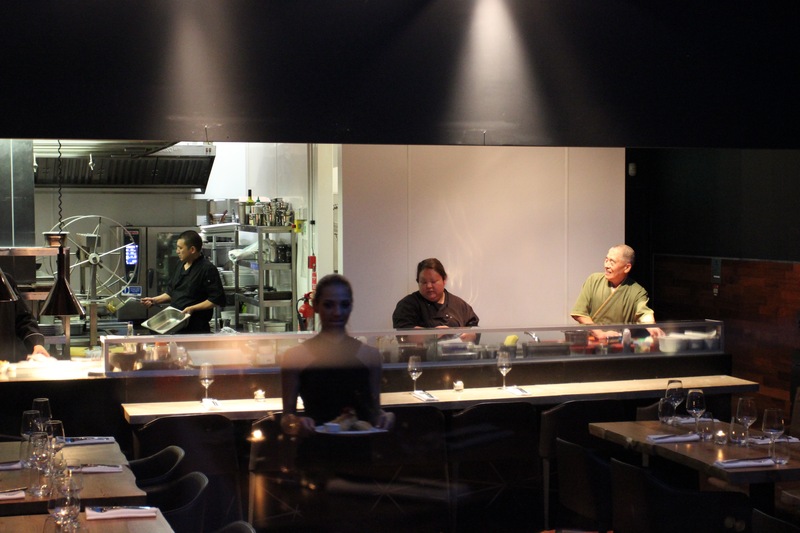 You will find it quiet and peaceful to dine after work hours. 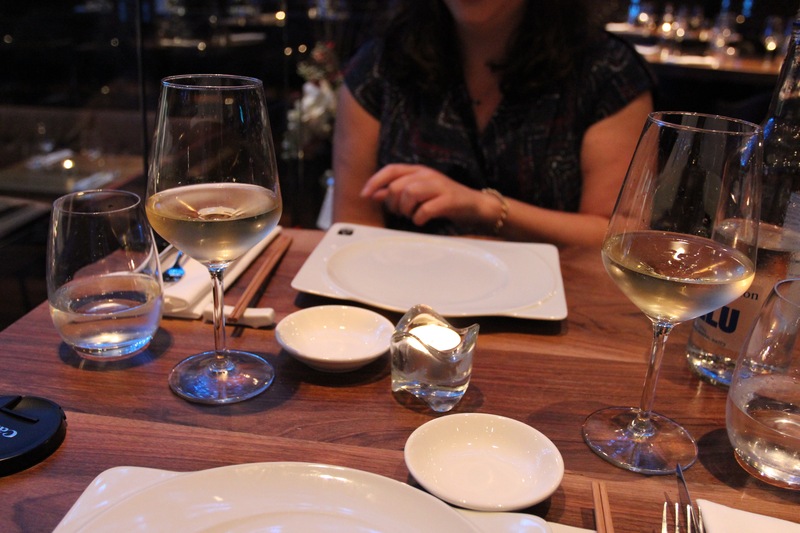 There was only 1 couple dining as I waited for my friend at 6:30pm. 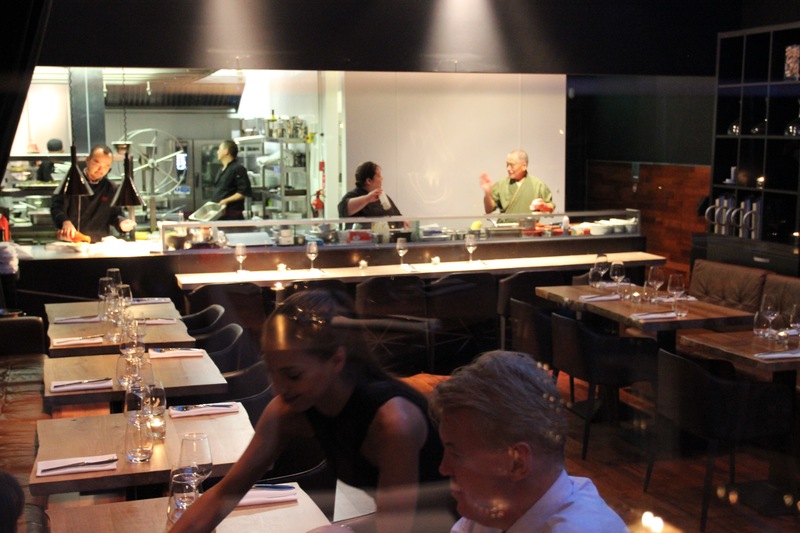 The lower level has the open kitchen where the chef plates your dishes. Invited down by DSTRKT they prepare a special sharing between my friend and I. 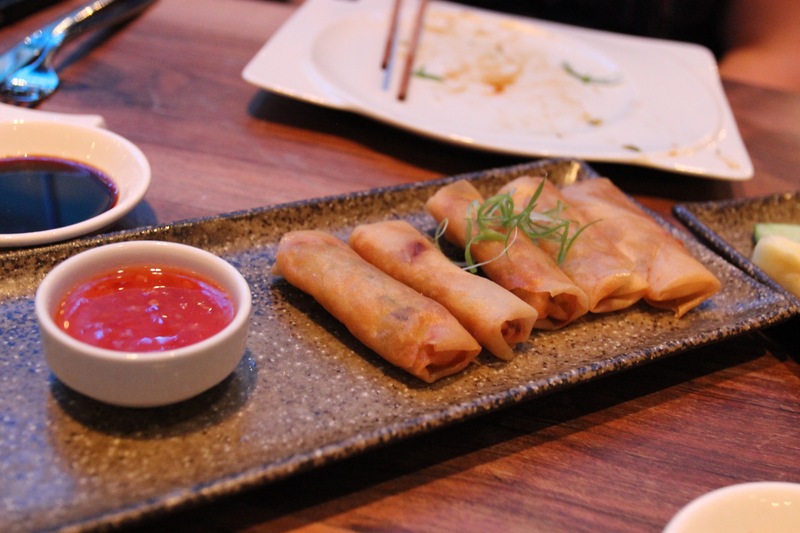 The style of eating is all about sharing at DSTRKT, it is very common in Asian culture to share multiple dishes from the middle of the table grabbing whatever you fancied. 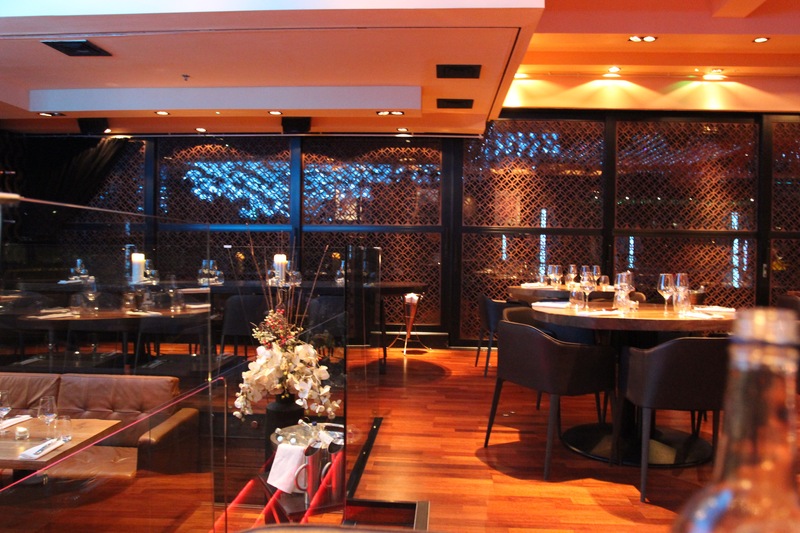 The waiters are even well dressed, ladies in LBD and men immaculate styled. 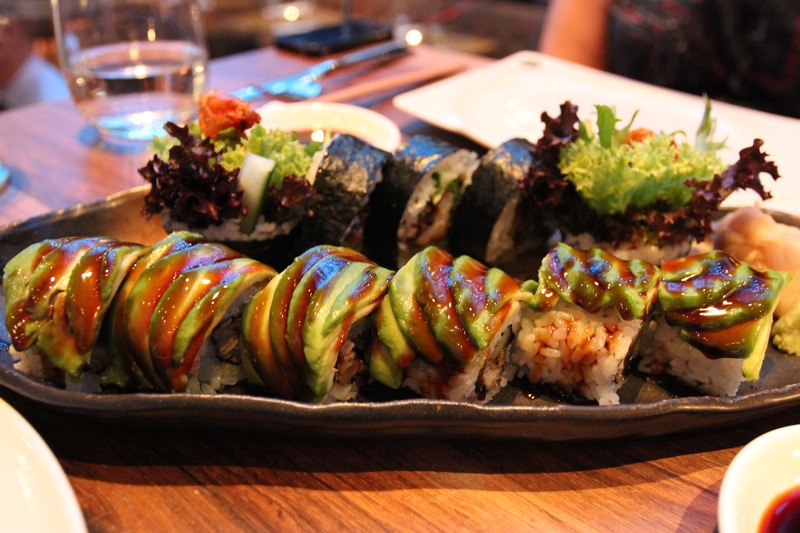 First dishes to arrive are my favourite thing to eat in the world, Sushi! 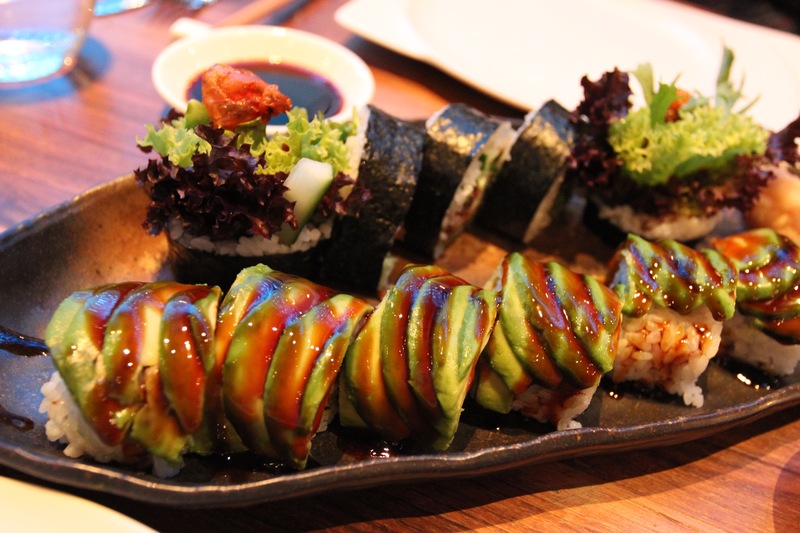 Dragon Rolls the texture of crunchy tempura prawns and thin slices of creamy avocado and drizzled unagi sauce is a match made in heaven. 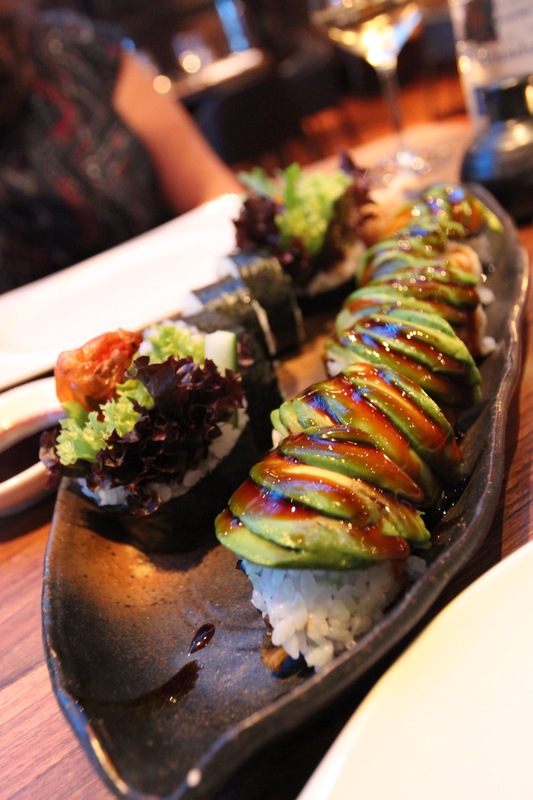 The other roll was equally as good; rice is not too soggy and perfectly balanced with the seasoning. 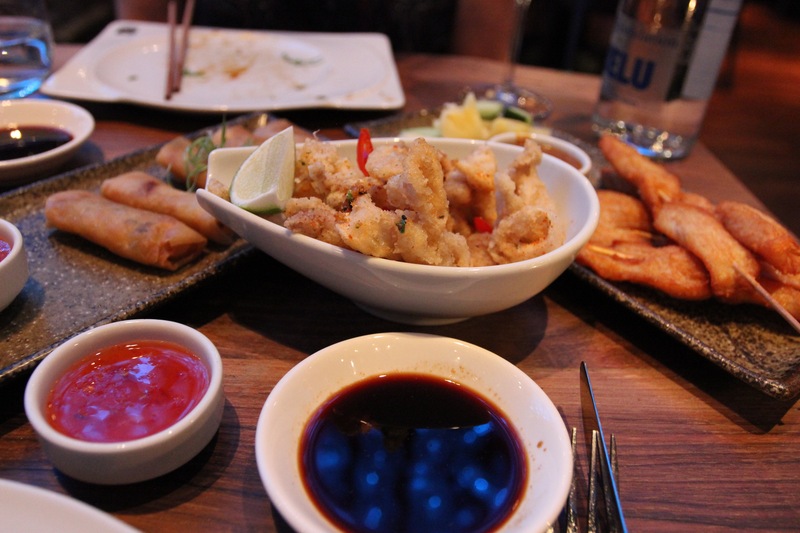 Other small plates dishes arrived, vegetarian spring rolls, crispy squid and satay chicken. 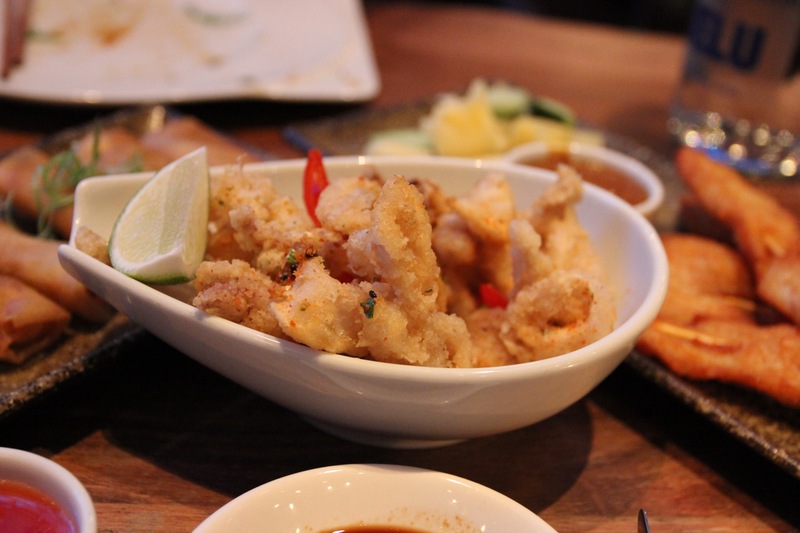 Squid was perfect and crisp in every way with a light seasoning of chilli and salt. 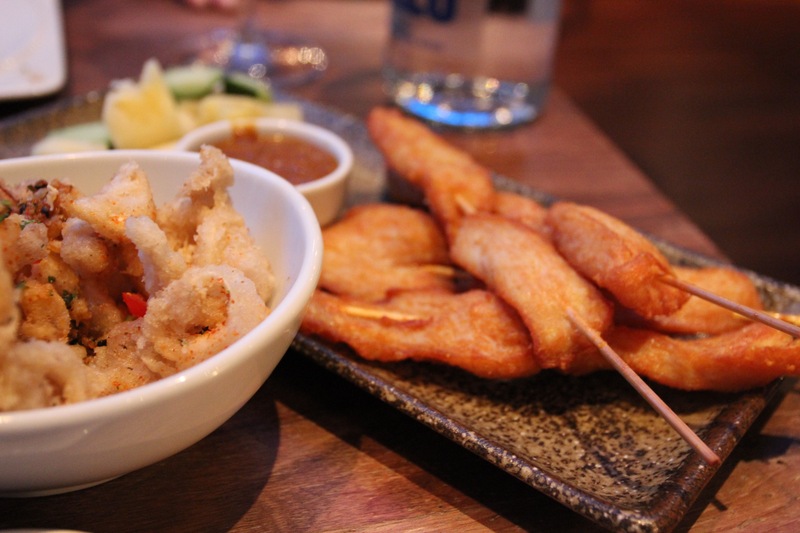 The star of the show was the cod fritters piled neatly on the dish with fish eggs. 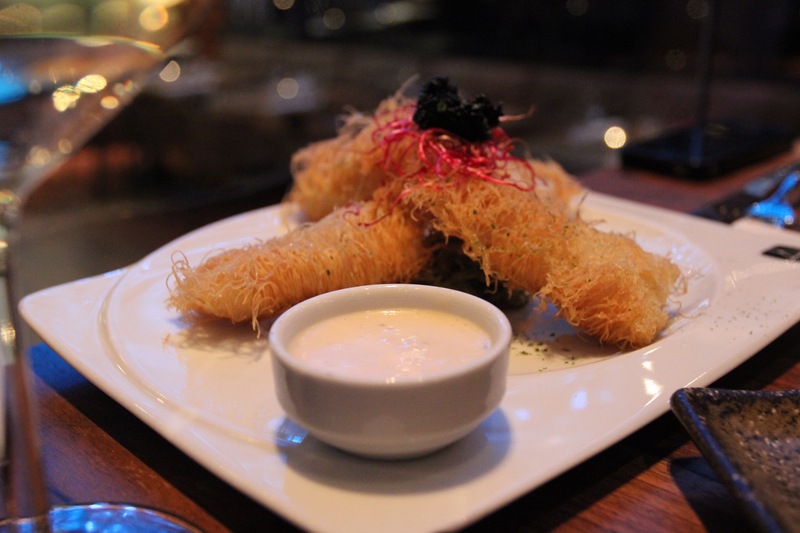 Have you tried the hairy prawns at Yo! Sushi? 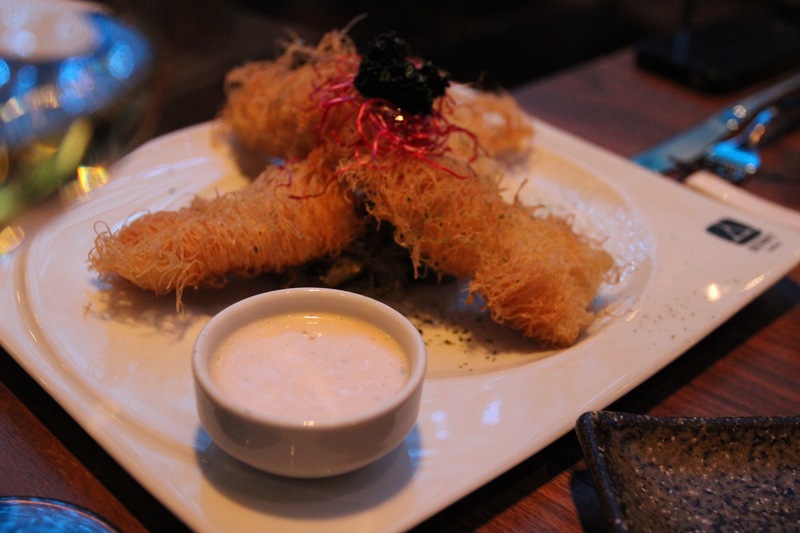 This is exactly that, deep fried batter cod fingers wrapped in a super thin crispy noodle. 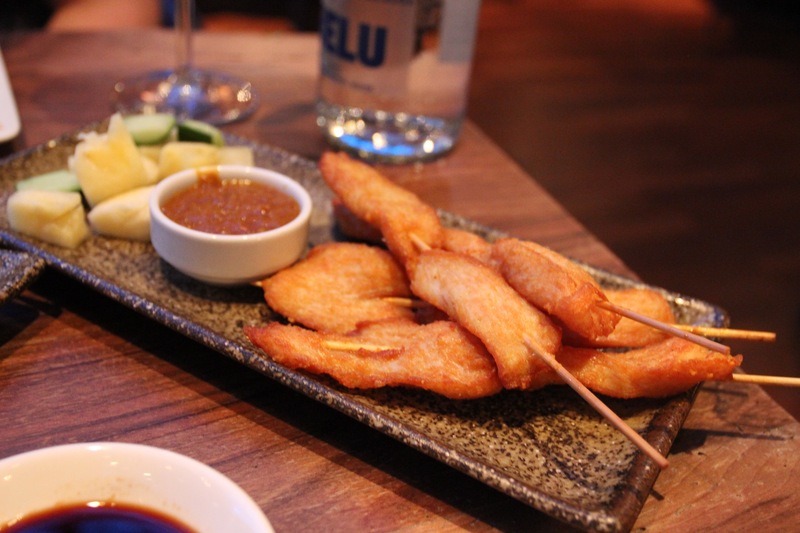 Every bite causes the noodles to instantly break off; it came along side a yuzu mayonnaise. A citrus fruit popular in Japan, I just wished there was more of it in the mayonnaise. 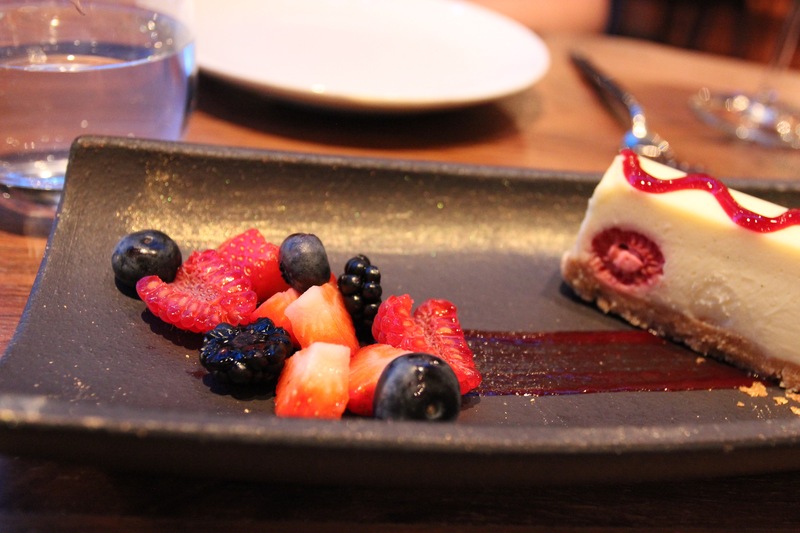 By then we were already full, but there is always room for dessert especially as everything was meant to share. 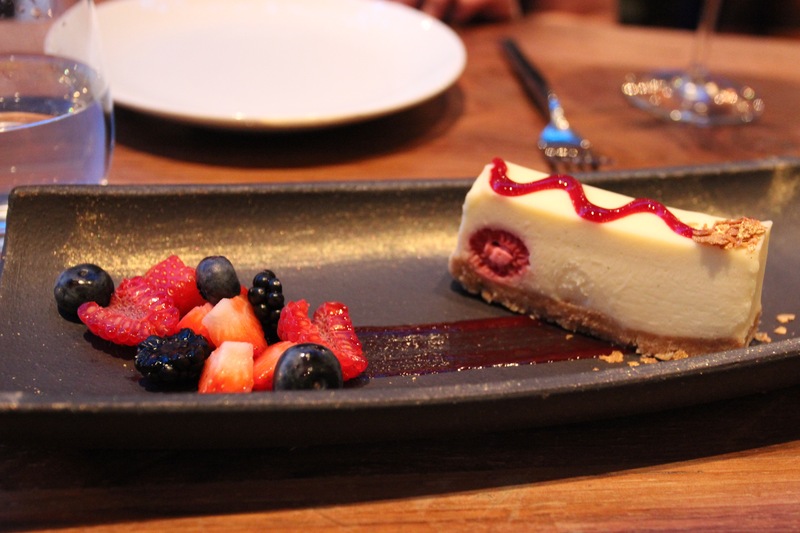 Out came the white chocolate mousse cheesecake. 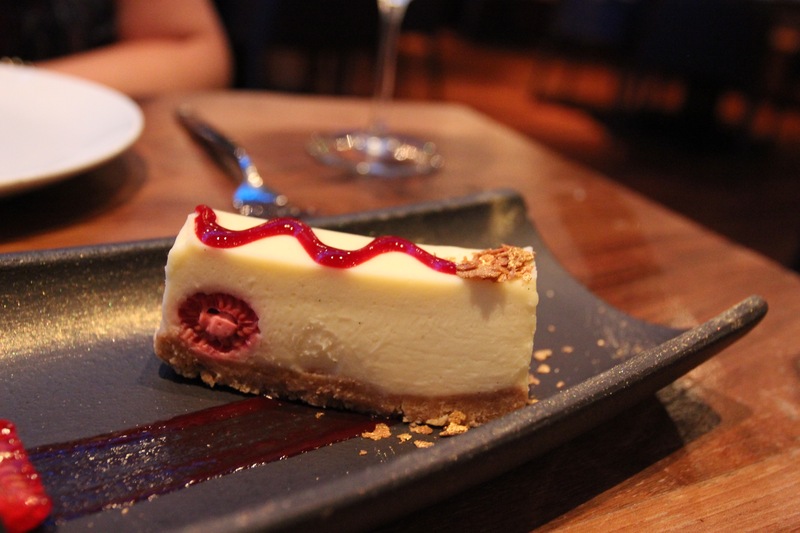 It’s a nice dense cheesecake with a perfect balance of white chocolate and sourness in the cheese. 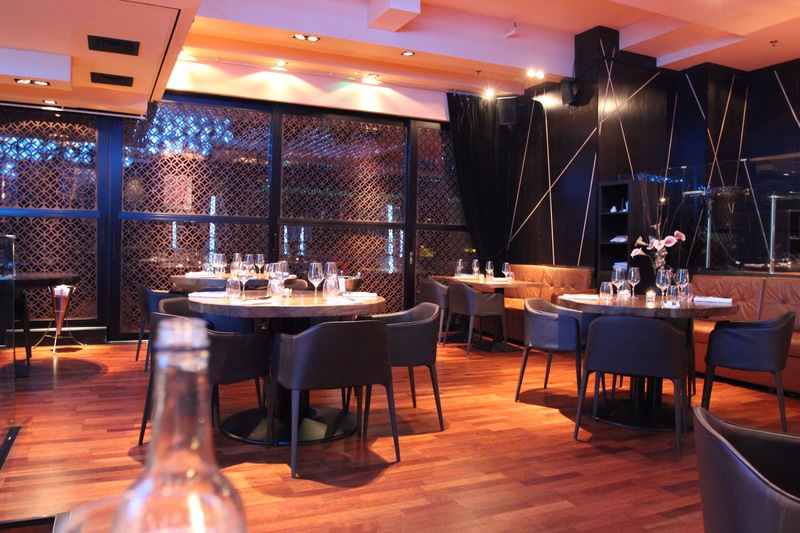 Overall DSTRKT is a great venue for those romantic dinner dates, a place that you can actually hear a conversation without loud music. I’ve yet to experience the nightlife at DSTRKT but I heard it’s good.